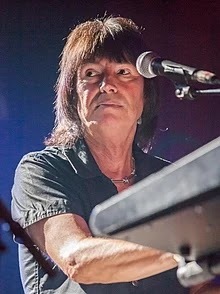 Paul Raymond, the keyboard and bass player for UFO along with Chicken Shack, Savoy Brown and the Michael Schenker Group, on Saturday (April 13, 2019) after suffering a heart attack. He was 73. With a desperate and broken heart, fully in tears and pains that feel like they will kill me I have to tell you that my most beautiful and beloved darling Paul Raymond has passed away today. The doctors we’re trying to reanimate him and with success at first but then his system shot down again and there was nothing more they could do for him, he died of a heart attack. Raymond started his career in 1964 as a jazz musician but soon moved on to Plastic Penny and Chicken Shack, where he replaced Christine McVie when she left for Fleetwood Mac. In 1976, he replaced Danny Peyronel in UFO and was with them until 1980 along with stints from 1984 to 1986, 1993 to 1999 and 2003 to his death. In between, he joined Michael Schenker's MSG and Pete Way's Waysted along with work with Phil Mogg and Andy Parker.